After seven full days of strenuous labour, with only 7 miles travelled, Shackleton abandoned the effort, and established Patience Camp. As the name suggests, this was where they would wait, until the ice drifted, and took them to open water; hopefully within attainment of nearby land. April the 8th dawned beautiful, with a clear blue sky, and the sun was shining brightly. In the distance, both Clarence and Elephant Islands could be faintly discerned. 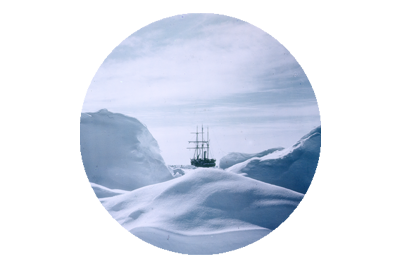 Shackleton noted the looseness of the surrounding pack ice, and the floe upon which the party were camped, was rising and falling with the swell of the southern ocean. The group looked on enviously as icebergs drifted freely by on the current. Some even suggested they should hitch a ride, westwards, on one, and make it their new home. Shackleton quickly dispelled the notion, citing the many dangers of such an escapade. Even if they were fortunate enough that the berg wouldn’t split or roll over, as they travelled, the problems they would encounter trying to launch the boats down the steep sides, ultimately proved the folly of the suggestion. They would have to wait. But not long. At 6.30 p.m. a huge shock resonated through their floe, and it split. The crack ran right beneath the James Caird, and soon they found themselves drifting precariously on a triangular section of ice, no more than 120 yards long, at its widest point. The slab pitched heavily in the swell, and Shackleton knew it was time for the voyaging in the lifeboats to begin. The James Caird readied for journeying. Yet despite the fragility of their situation, they had to wait until conditions were favourable, to launch their escape. It was a fine line between the ice breaking into sections too small to support the men, and too large to permit the use of the boats. The comparative flimsiness of their crafts, would have been no match for the huge slabs of ice being churned about in the sea. Patience Camp was disintegrating beneath their feet, and departure was imminent, yet they wait throughout that night, and into the following morning. Leads and lanes of water appeared, then disappeared as quickly. The turbulent swell caused large floes to crash together, with shuddering impact, in the brash icy brine. After breakfast on the 9th, Shackleton had just stepped out from his tent, when a huge crack cut across the camp. The ice that had been their home for so many months, now betrayed just how precarious a quarterage it had been. After a quick meal it was finally time to begin their journeying, when the pack ice opened invitingly. The Dudley Docker and Stancomb Wills were launched first, with the largest of the boats, the James Caird, last to leave. The James Caird was put to good use at Patience Camp. Theirs was a daunting task, yet they felt happy to be finally on the move, after such a period of idleness. They had scarcely sailed more than a mile, manoeuvring through the channels, when they found themselves in a large pool of open sea. Their brief initial relief was soon dispelled, when they noticed a tidal wave of foaming water and tossing ice, bearing down on them, from two sides. The men rowed frantically for their lives. The chase lasted an hour, but eventually the three boats managed to pull clear of the danger. Frank Worsley remembered it later, as a hot hour, when despite the freezing temperature, every man was sweating profusely. Briefly they marvelled at a huge iceberg adrift in the ocean, waves crashing against it with powerful force, sending plumes of salty spray spiralling skywards. But as darkness fell, there was little time for sightseeing; finding a floe suitable for spending the night upon, became a matter of urgency. Later that night Shackleton, spurred by an “intangible feeling of uneasiness,” left his tent and decided to walk about, the temporary camp. He noticed that the floe had shifted, and was now more vulnerable to the forces of the heavy sea. No sooner had the realisation hit him, when the floe was lifted on the crest of a swell, and cracked right beneath his feet. Leaping clear of the breach, he looked on in horror, as the ice split under one of the dome tents, some of the men had been sleeping in. The tent was stretched and torn by the pressure of the cleaving. 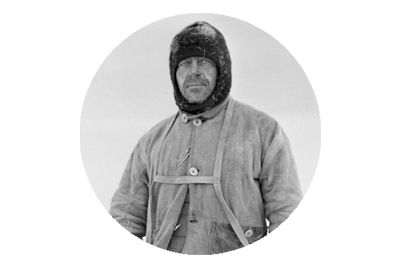 Hearing the panic within, Shackleton rushed forward and helped drag the emerging men from the tent. “There are two in the water,” somebody yelled. Frantically, Shackleton scanned the water – the crack was now four feet wide. Then he saw something trashing in the water. It was a man trapped in his sleeping bag. Somehow he reached into the icy sea, and summoned the strength to haul man and bag up onto the floe. Within seconds there was a sickening thud, as the ice slammed shut. Sea ice on the Weddell Sea. Fortunately there had been only one man, who had fallen into the water, as there would have been no way of retrieving anyone from such a desperate entombment, once the ice had closed. The occupant of the bag, was soon revealed as Ernest Holness, who was saturated and very cold, but otherwise unscathed. 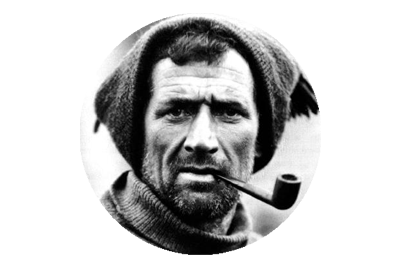 He almost waived his right to acknowledge his gratitude to Shackleton, such was his despair, upon realising he had lost his tobacco pouch to the sea. He spent the night being paced up and down the floe, by his companions, as it was the only means of generating some heat, to stave off hypothermia. Meanwhile the crack had opened again, stranding Shackleton’s tent and the James Caird, on one side, and the remainder of the camp and boats on the other. The tent was hastily disassembled and the Caird was heaved across the opening ice. The men leaped back across, or clambered along the boat, which bridged the gap, as it was being transferred. 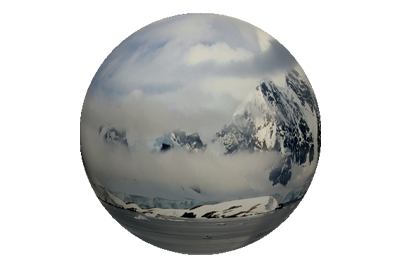 Finally all camp and equipment, were assembled together, on one side of the fractured floe. All save the Boss that is. The gap had widened to a point, where leaping across was impossible. He cut a lonely figure, stranded, standing in isolation, on a rocking slab of ice, surrounded by darkness and the fathomless southern ocean. Frank Wild immediately launched the Stancomb Wills, and ferried Shackleton back to safety. The Lifeboats and their crews. Crew – Wild, Vincent, McCarthy, Hurley, Clark, Orde Lees, McNish, James, Wordie, Hussey and Green. Crew – Greenstreet, Cheetham, Macklin, McLeod, Marston, Kerr, Lees and Holness. Crew – Bakewell, How, McIlroy, Blackborrow and Stephenson. *Tom Crean took over the role of captain of the Stancomb Wills, as Hudson’s condition deteriorated, both mentally and physically – a result of the many months confinement on the ice.